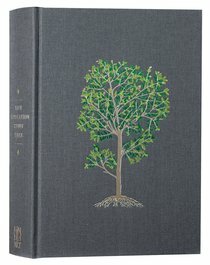 About "NLT Life Application Study Bible Deluxe Linen Flourishing Arbor (Red Letter Edition)"
This Bible is designed specifically to connect the truths of Scripture with the everyday life of today's Christian. Features: Single-column format, 10,000 life application notes, 200 in-text maps, 16-page colour map section, 260 in-text charts, book introductions, profiles of over 100 key Bible figures, Harmony of the Gospels, cross-referencing, dictionary/concordance, gilt page edges, ribbon marker. 8-pt font. :Introducing the New Deluxe Linen Hardcover, Flourishing Arbor, Grey with Heirloom Keepsake Box. The Life Application Study Bible is today's #1-selling study Bible. The notes not only explain difficult passages and give information on Bible life and times but go a step further to show you how to "take it personally," speaking to every situation and circumstance of your life! This is the one Bible resource that incorporates today's top scholarship in answering your real-life questions. It includes nearly 10,000 Life Application notes and features designed to help readers apply God's truth to everyday life. The New Living Translation breathes life into even the most difficult-to-understand Bible passages, changing people's lives as the words speak directly to their hearts.